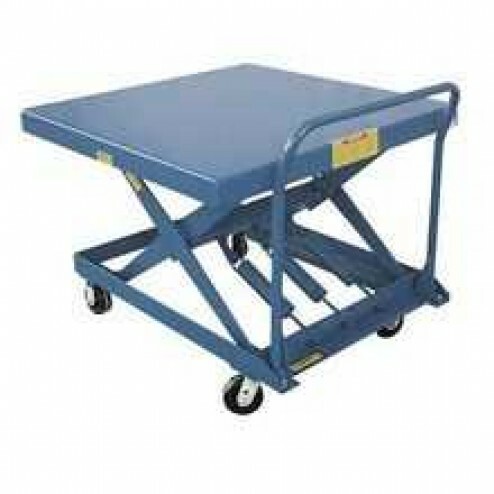 The 42" x 42" scissor cart platform can be used to raise loads of up to 500 lbs to heights of 34" for easy loading and unloading. With the Vestil SCSC-500-4242 Auto-Hite Scissor Cart materials are easily loaded and unloaded by raising or lowering the cart. Platform Size: 42" x 42"